pass it up for $10. The calipers should be helpful with the head work I'm doing. V-Block was only $3. Damn dude, you stolt it yo! garage sales can occasionally be a fantastic place to find those rare deals that really pay off! Ive purchased dozens of tools in good condition from yard sales in the past, Ive got almost new timing lights for $5 and mig welders for $200, ARC welders for $100, engine stands for $10, you just need to keep looking, 95% is crap but the other 5% is gold! About 1980, I was broke as a convict, stopped by a yard sale in a rough neighborhood and the old lady had a metal carry style tool box, lid was closed and the box was beaten up pretty badly. It had a little piece of cardboard with $5 on it. I said seems like a lot for an old dented box and she said I'm about done today, you want it, gimme a dollar, so I did. When I reached down to pick it up I nearly fell over, must have weighed 25lbs! I just put it in the car and went home, took it in the kitchen, set it on an old newspaper and opened it. There was a set of three real Cresent wrenches a 10", 12" and 16", a pair of Vise Grips that looked like new a long pair of real Channel Locks, several needle nosed, side cutters and duck bills as well as pliers, screwdrivers, some good some junk, a roll of solder and a soldering needle and a set of ignition wrenches. I needed some of the stuff and still use several of them today. I was struggling to make a buck at the time and boy that came in handy! yes you need to stop and look , on rare occasions the deals ARE fantastic, I caught a guy having a yard sale that sold me a 180 amp miller mig welder that was only a couple years old for about 1/2 what it cost new, and he said it was still loaded with the original roll of wire, which I believe as the machine looked dusty on the outside but brand new internally, how can you go wrong with a good 180 miller 230 volt mig for about 1/2 price? reason I went to this one was I saw it on Craigs List and it mentioned machine shop. All I can say is congrats! on finding a good deal, if you keep looking they are out there to be found! its always nice to see someone who will use tools find them at a bargain price! 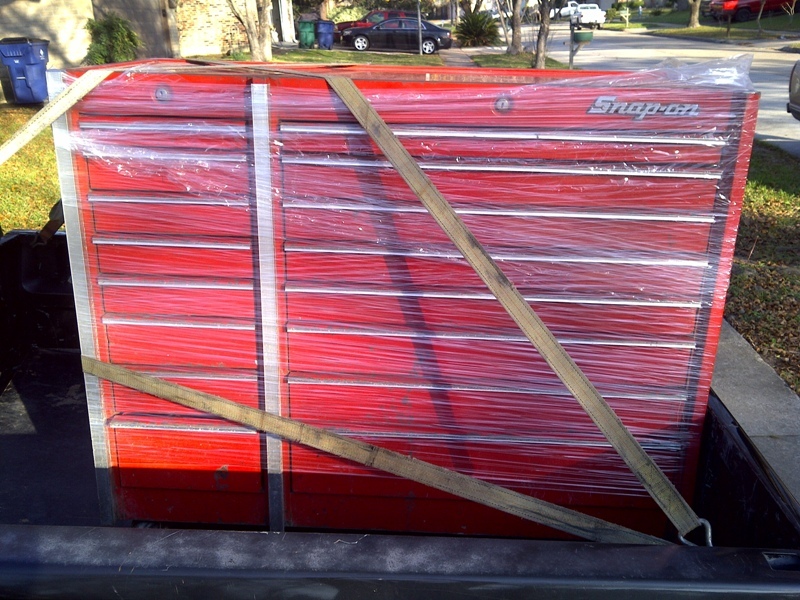 I recently had a friend call me who was almost giggling like a teen aged girl, (which is hard for a 60 year old guy) about a huge fully loaded MAC tool chest that weighed well over 800-1000lbs, and a lincoln mig welder, he got at an estate sale for $3400, he said just the tools in the first few drawers probably cost more than that he got complete sets of quality mics sonic testing and magnaflux test stuff plus hundreds of sockets wrenches, taps, dies wrenches etc. ever see such a good deal that you just know you either need to buy it or get a friend too jump on the bargain, at a yard sale, you just know the person either has no clue what they are selling or theres something drastically wrong you just failed to spot. hes been hoarding ,sitting on the car trailer, that he wants to sell fast and cheaply. 4 0f the 6 engines are just short block assembles, two don,t even have oil pans. now Im basically broke (NATURALLY IF A DEAL LIKE THIS COMES UP) but I go over and look, the guys car trailer is a dual axle trailer with wooden runners where the wheels roll, and the metal works slightly rusted and obviously 10 plus years old,the trailers in a bit ragged shape but serviceable, the tags several years out of date and theres 6 ford v8 engines, most look like older 429-460 engines. I make a few quick cell phone calls to friends that have fords and now I have one guys whos a friend, thats into fords, whos interested, he talks to the guy, tells him hes basically broke but will offer $1200, for the trailer and engines in a combo deal. and he walks off with the whole deal for $1200 , 6 stock engines in who knows what condition and a trailer, he can hardly go wrong here as just the trailer once cleaned up and painted should easily sell for that price. I stopped at what I thought was going to be a rather promising yard sale today, I didn,t have much cash but I was hoping for some bargain on a few tools. you never know what youll find or the prices. I ask her what she wants, for them, a quick glance, and she says Ill take $1 for the full case....I was rather shocked surely she meant a $1 each?.... nope! I walked out with 12 brand new coffee mugs for $1, can,t beat that with a stick! So when are you having a sale on tools and 16 oz coffee cups??? 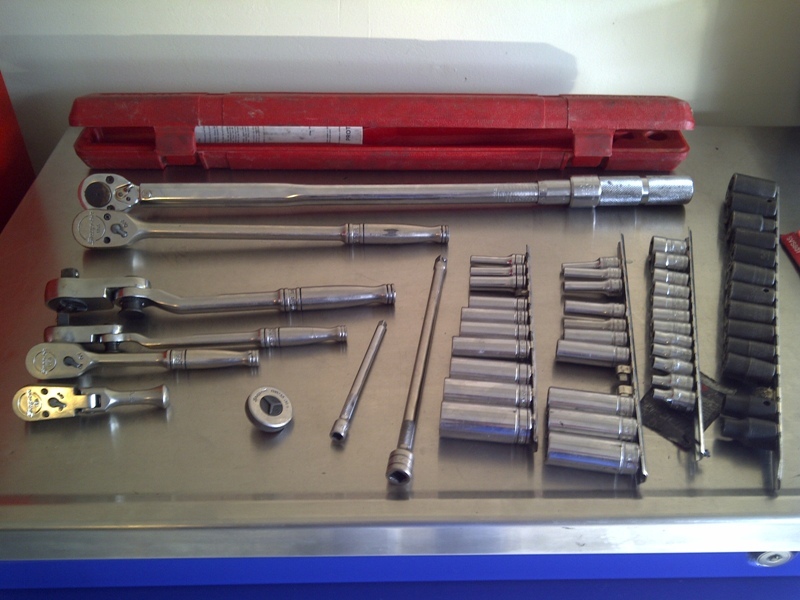 that, idea about selling tools, is about as likely as an even up swap between your t-bucket and my coffee cups, I may be insane but Im a bit of a tool junky, Id rather not sell good tools, and, yes I tend to donate the cheaper ones, Ive owned to less well supplied friends, to help them build their collections if the tools are still useable. 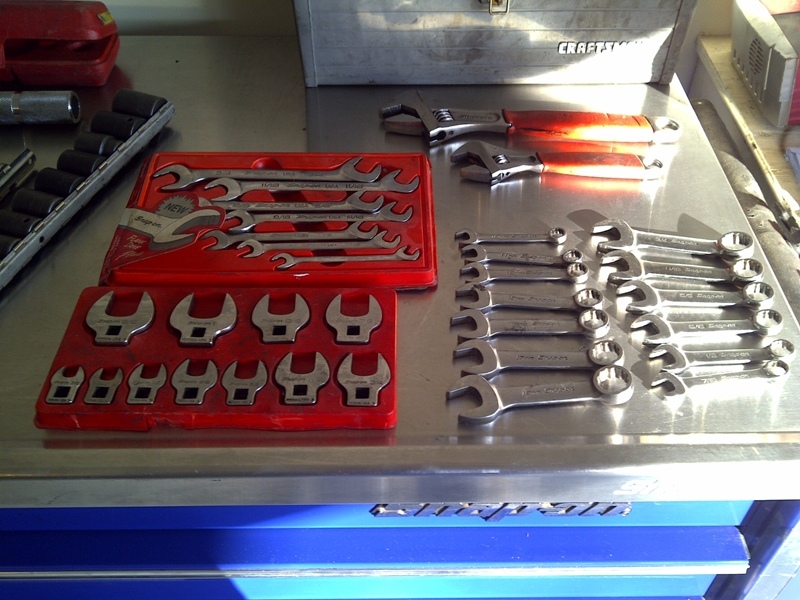 as soon as I get a better quality replacement, but tools don,t seem to get on that list of things leaving the shop,all that often, mostly because I seldom buy cheap tools any more. I knew that would have to get a response!